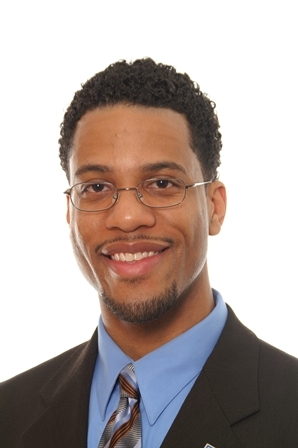 Diallo J. Stevens is a Licensed Real Estate Associate Broker. He has been a licensed real estate professional since 2002. He has broken residential sales price records in Corona and East Elmhurst, NY. Mr. Stevens works with residential and commercial properties, existing housing, new construction, cooperatives, and condominiums. He represents property owners that want to sell and people that want to buy. Mr. Stevens is available for all your real estate needs, locally and nationally. His assistants and professional support system provide access to buyers and sellers no matter what language(s) they speak. This increases YOUR likelihood of success. He is active in the community and is currently a Council Member on the School District 25 Community Education Council and a parent member of the School Leadership Team at PS165Q. Over the years, Mr. Stevens has been interviewed by Reuters News, ABC News, The Residential Specialist, The Real Deal Magazine, etc. He has been asked to participate as a panelist for various REALTOR events and organizations, including the Long Island Board of REALTORS, The Multiple Listing Service of Long Island, The New York State Association of REALTORS, the Tri-State Conference REALTORS Conference (Triple Play Conference organized by the NY, NJ, & CT State Associations of REALTORS), etc. Mr. Stevens was a recipient of the "Top 20 Under 40 Rising Stars" Award bestowed by the Long Island Board of REALTORS Young Professionals Network (YPN). He was also inducted into the CENTURY 21 Centurion Honor Society. Mr. Stevens has a broker-level license (not just a salesperson). He is qualified by the Court System of New York State to receive appointments to broker real estate transactions that require Court oversight or involvement. He has handled such matters in Queens, Suffolk, and Nassau, and testifies in Court when necessary. Most of his business is by referral, so reputation and results are key. His strategies are client-specific, and he is known for being honest, ethical, and effective. Should you choose to work together, you will be in very good hands.